When I Sell My Car Do I Keep My Plates? 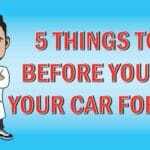 Junk Car Medics » Blog » When I Sell My Car Do I Keep My Plates? This depends on the state in which you are selling your car (see our complete list of state license plate rules here). In most states, the seller should keep the plates, compelling the new owner to register the car in their name and get new plates. In other states, the plates stay on the vehicle the new owner registers the car in their name, keeping the plate number in the process. What If I Sell My Car With the License Plate Mounted? In the majority of US states, a vehicle’s license plate number indicates the registration of a specific car to a specific owner. As a result, if you accidentally leave the plates on your car when you sell it, you could find yourself liable for any infractions or violations committed by the car’s new owner due to state law concerning owner liability. Owner liability is the concept that the owner of a vehicle is liable for the things done with that vehicle. In order to avoid any chance of getting in trouble with the law, you should check with your local DMV and find out whether you keep the plates in your state or not. 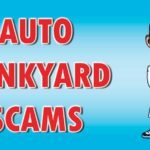 Owner liability doesn’t just apply to crime; it applies to parking violations and impound fees as well. 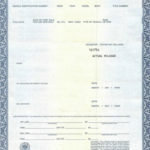 Most states use the title process to track ownership of automobiles. This allows the state government to verify ownership by tracking vehicles by the Vehicle Identification Number (VIN#) that is emblazoned directly on its inner components. The license plate number connects that particular VIN# to its owner or as long as he or she owns the car. If you’re unsure whether you need to keep the plates or not (such as when buying a car registered out-of-state) the best approach is to meet the buyer directly at your local DMV and apply for the new title together. This lets both buyer and seller remain compliant with state regulation and eliminates the need to drive the car before it is registered to its new owner.